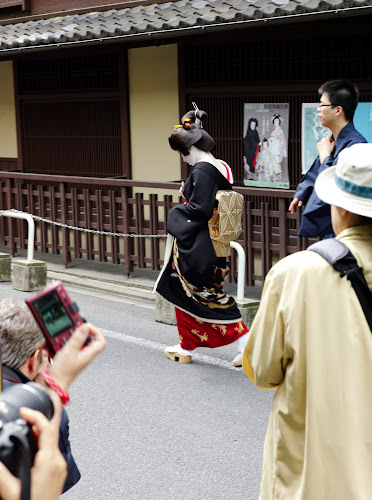 Walking through the Gion area of Kyoto, I came across some maiko groupies (otaku). Maikos are apprentice geisha. 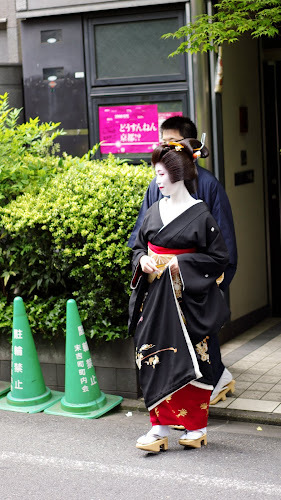 However she may have been a geiko (a geisha – can’t tell the difference). She was making the rounds paying respects to business contacts with a small crowd following her. 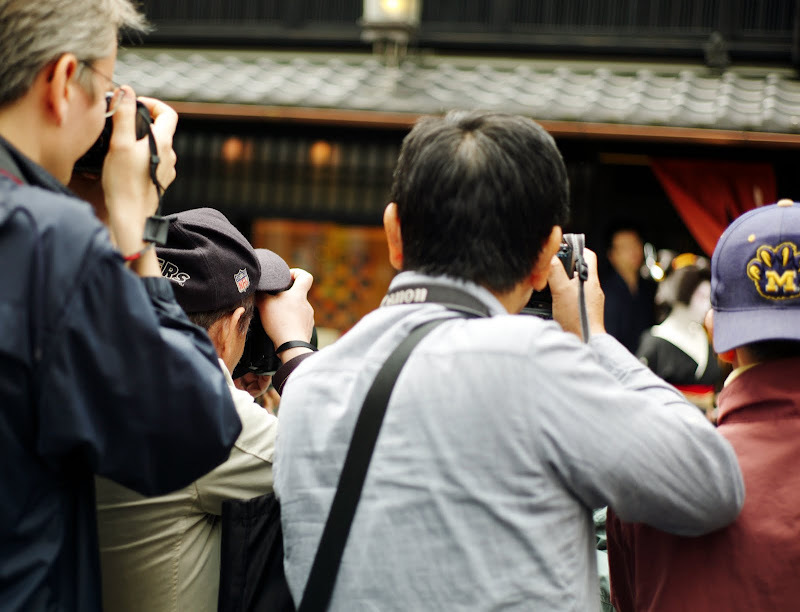 These groupies were depicted in the comedy movie Maiko haaaan! – I guess these people really exist. 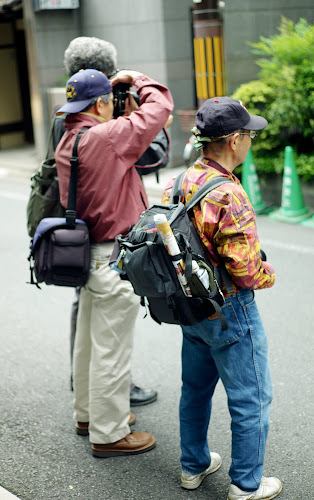 This entry was posted in Japan, Kyoto, movies, travel. Bookmark the permalink. I wonder how often the groupies follow her every week. I’m going to watch the movie on this, sounds very interesting.